According to the search from Economictimes, today’s Artificial Intelligence (AI) technology can solve almost variant of distorted text at 99.8% accuracy. Distorted text, therefore, is no longer a dependable tool to test. 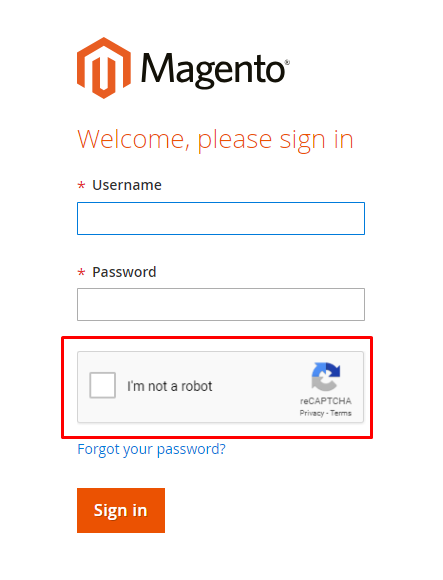 To prevent human effort from accessing your online store, Magento 2 Google Recaptcha extension has been released by Mageplaza experts. 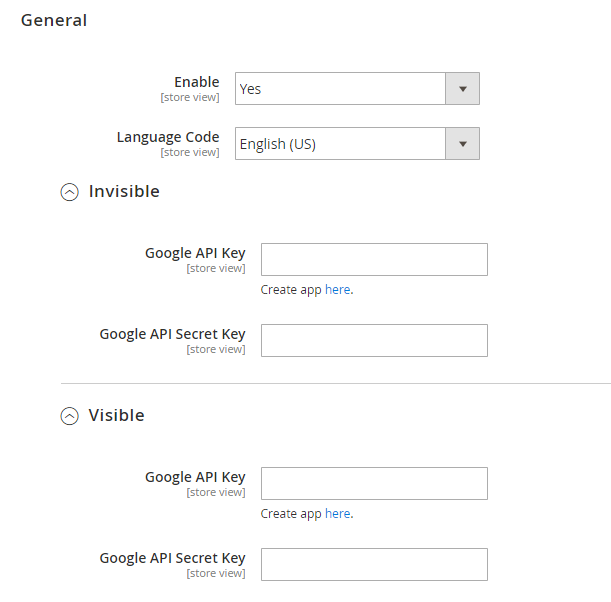 Google Recaptcha extension is the best solution to protect your e-commerce store from spams and frauds. Also, it is also a useful tool that helps online stores avoid the requirements of the bots. Thanks to this module, interestingly, valid users can be accepted easily. 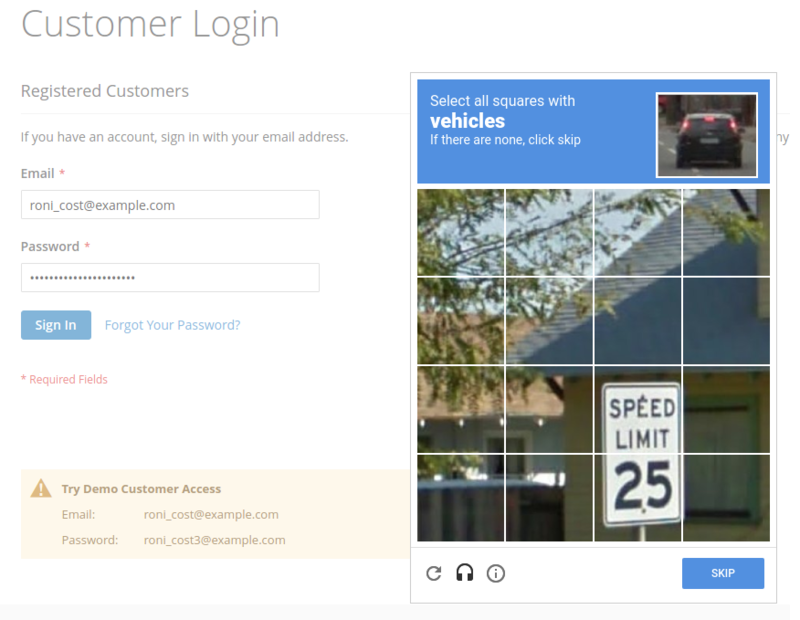 Forms: Choose a place displaying reCAPTCHA on the frontend. 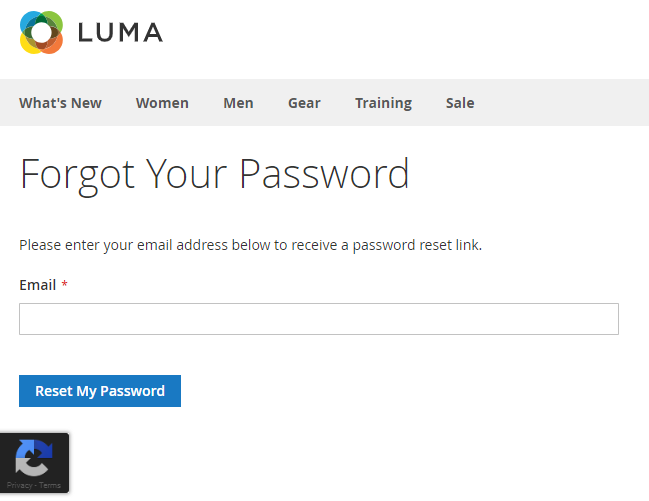 Store owners can allow reCAPTCHA to display in all forms. The paths are separated by down stream. 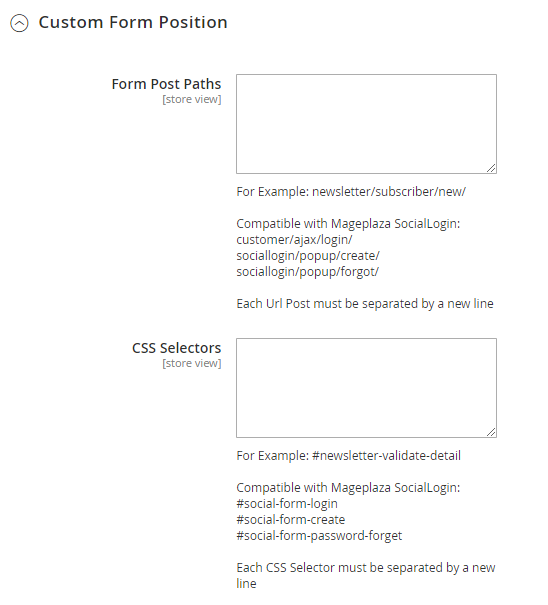 If you this field is empty and you fill in the information in the CSS Selectors field, reCAPTCHA still displays on the form that you fill in the information CSS Selectors, but it doesn’t still work on that form. The IDs are separated by down stream. 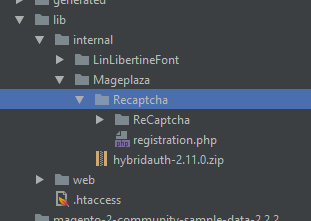 If you leave this field blank while filling in the information in Form Post Paths field, reCAPTCHA won’t display on the form you want. 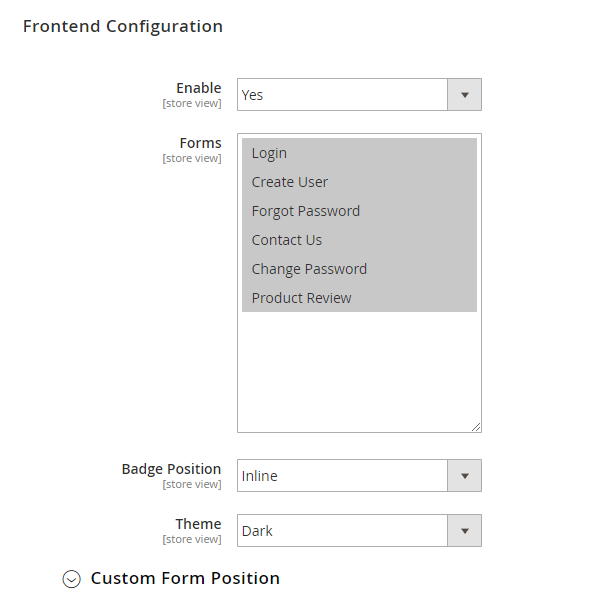 In the Custom Form Position field, if you want to show reCAPTCHA on the form you want, you have to fill in all information of 2 fields: Form Post Paths and CSS Selectors. 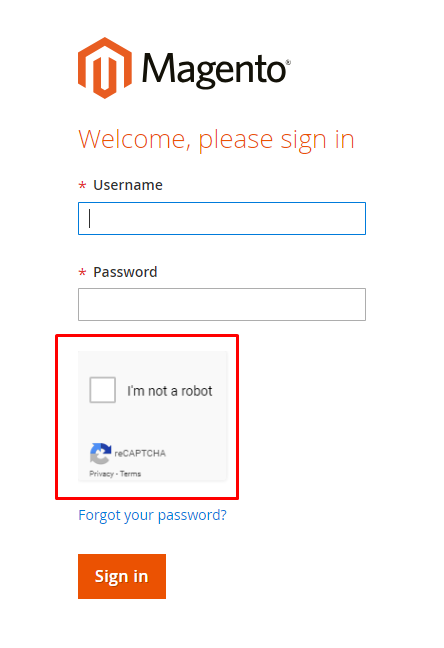 Using the invisible CAPTCHA system outside the frontend, most users won’t see CAPTCHAs at all, not even the “I’m not a robot” checkbox. If you are flagged as “suspicious” by the system, then it will display the usual challenges. 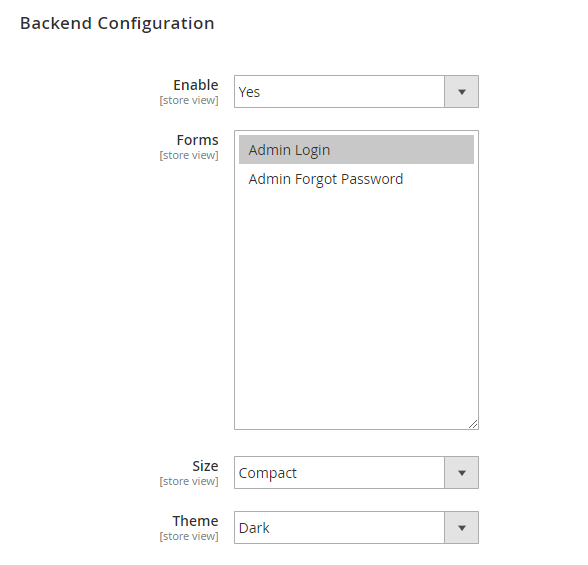 Hence, If you want to check it you can try to click the Create an Account button many times. 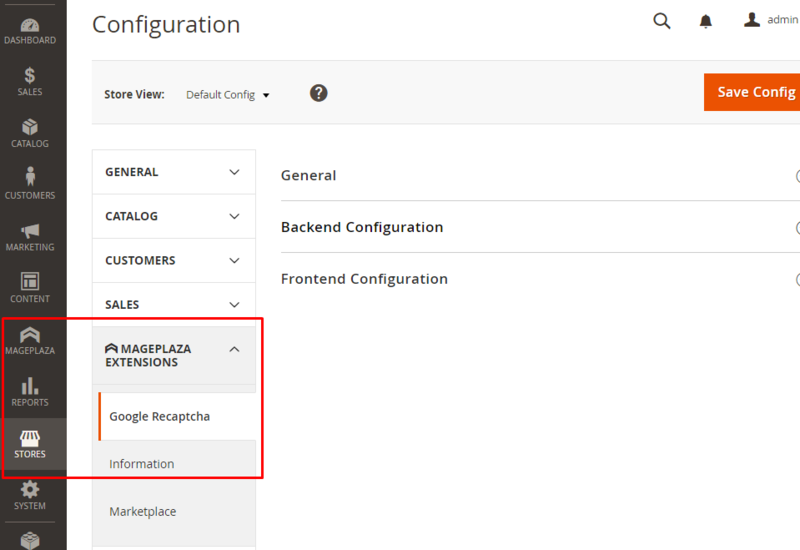 When you cannot access to the admin panel while reCAPTCHA enables, you can use the following command to disable the module via composer as well as can access the admin page as usual.